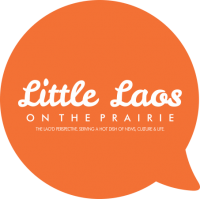 Welcome to Little Laos on the Prairie! I am excited and nervous about this new blogging adventure in my life. But I know I’m in good hands because I am teaming up with two other amazing Lao Americans, Bryan Thao Worra and Chanida Phaengdara Potter, who have done tremendous work for our community—mobilizing, mapping, creating, contemplating, envisioning, empowering and writing a world where we belong and which is rightly ours. What is Little Laos on the Prairie, you ask? As the name suggests, we are Lao people dispersed all over the world, but in particular we bring a Midwest perspective (except Bryan, who traversed the prairie to the West Coast). So, we are interested in capturing Lao experiences, within and outside Laos, paying particular interest on our immediate surroundings. We attempt to write ourselves into the histories of the prairies of the Midwest. We are Lao and American. Who am I? My name is Danny Khotsombath and the top three things about me include: 1) my favorite color as orange (yes, deer-hunter orange); 2) the fact that I can speak, read, and write in español (this is another story); and 3) my fascination with capturing life through photography (I just purchased an expensive DSLR camera). I was born and raised in Minnesota and have always found my roots in being Lao American. My first words jumbled between Lao and English and as a kid (and adult) my fridge stocked with peppered sauces, pickled veggies, and beef jerky right next to ketchup, mustard, cold pizza, and leftover spaghetti. As this blog unfolds, you will be hearing a lot more about who I am, but for this initial post, I spare you from gruesome autobiographical details. However, as I share my stories with you I hope to hear yours as well. I am so excited for you! keep me posted on your newest blogs I would love to read about it!